Monitor your brand and know when trends take off. Easily filter positive and negative mentions. Understand the likes and dislikes of your customers and stay ahead of negative buzz. See where the conversations are happening. Listen closely to the people that matter to your business. Know who’s talking about your brand and what influence they have. Sort conversations by positive or negative sentiment to find your true ambassadors. Get in touch with them directly and keep track of the conversations. 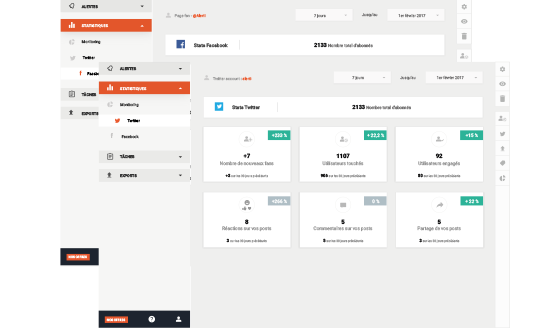 Dive into the performance of your own social channels and get a clear overview of your Twitter and Facebook activity. Analyze reach, engagement, share of voice. 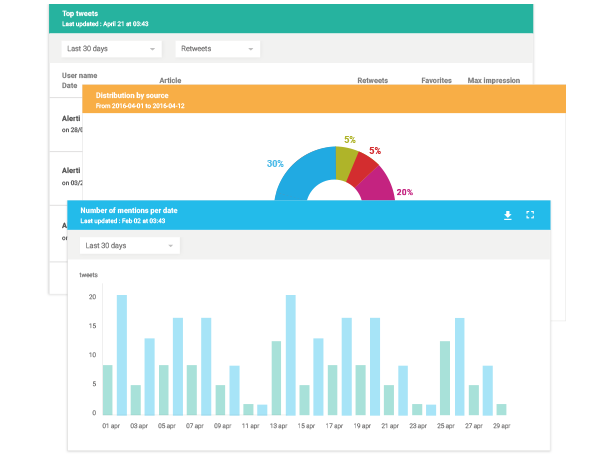 Choose which metrics you want to focus on and track them over time to reach your goals. Easily find and connect with your most active and influential fans and followers. Know who engages the most with your content. Nurture relationships that have already been initiated and turn your most influential followers into brand advocates. 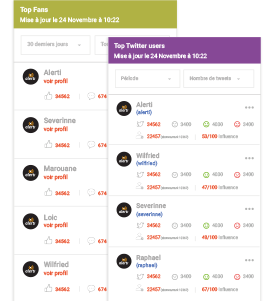 Create alerts on your competitors. Compare the sentiment around their brand. Understand where the conversations are happening. Track their social media profiles, how their content is performing and what’s working or not. 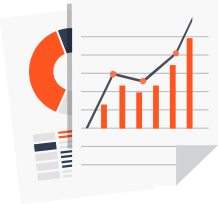 Make sense of the data and detect main trends with effective dashboards. 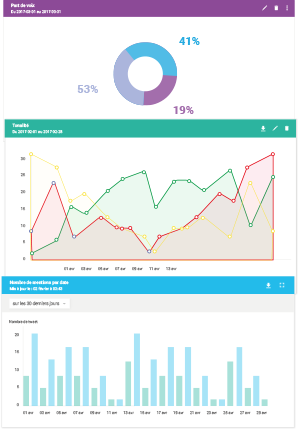 Create custom graphs and compare the data of your choice. Easily export any type of data. Make smarter decisions.